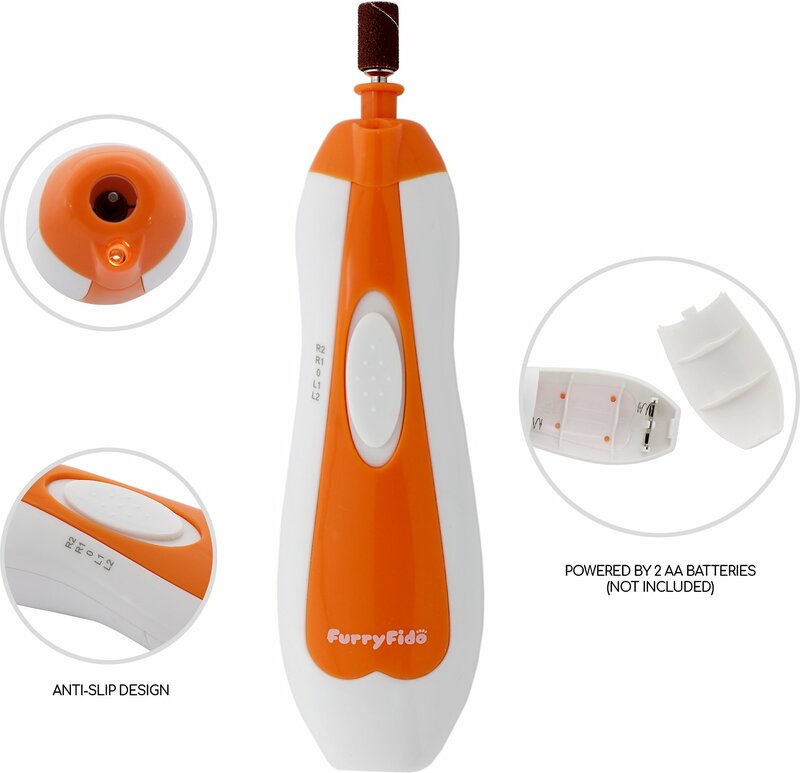 Keep your pet’s nails nice and smooth and stress-free with the FurryFido Pet Nail Grinder Kit. 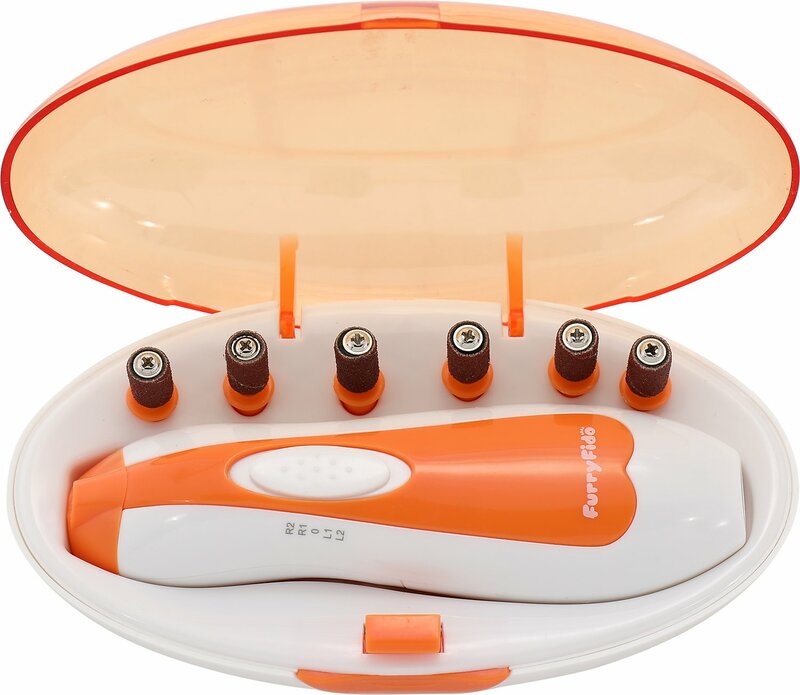 This cordless nail groomer has a powerful motor and a sanding tip to safely and painlessly grind, trim and smooth your pal’s nails at home. It features an ergonomic design, durable brass hardware, built-in spot light so you can see your fancy work as you go, and a super-quiet motor that takes the stress out of nail grooming. Perfect for cats and dogs, it helps keep nails healthy and round so they don’t scratch your furniture and comes with extra sanding tips so it’s ideal for multi-pet homes. 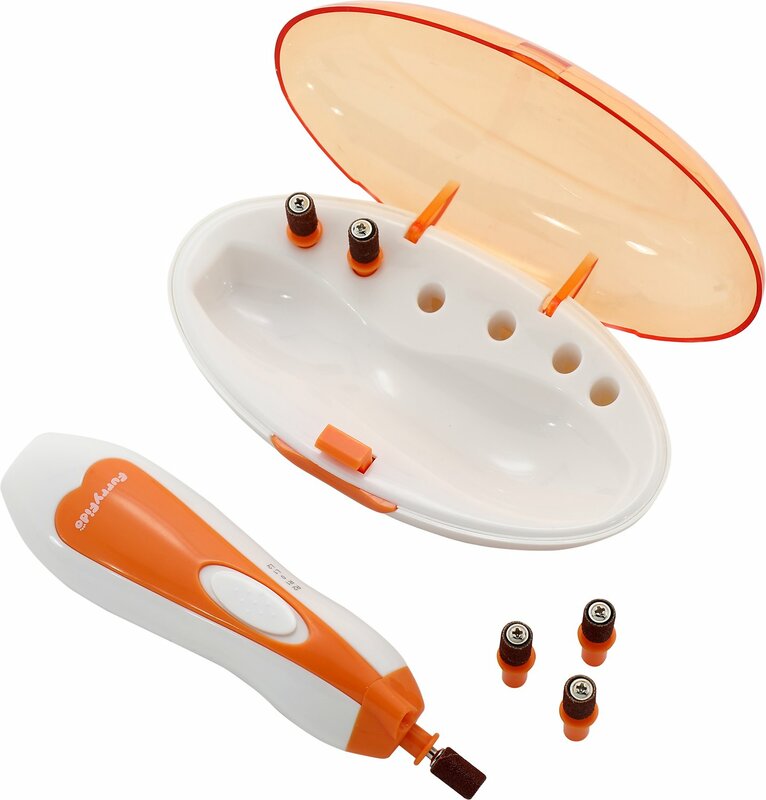 Powerful rotating nail groomer safely trims, shapes and smooths nails with no pain or hassle. 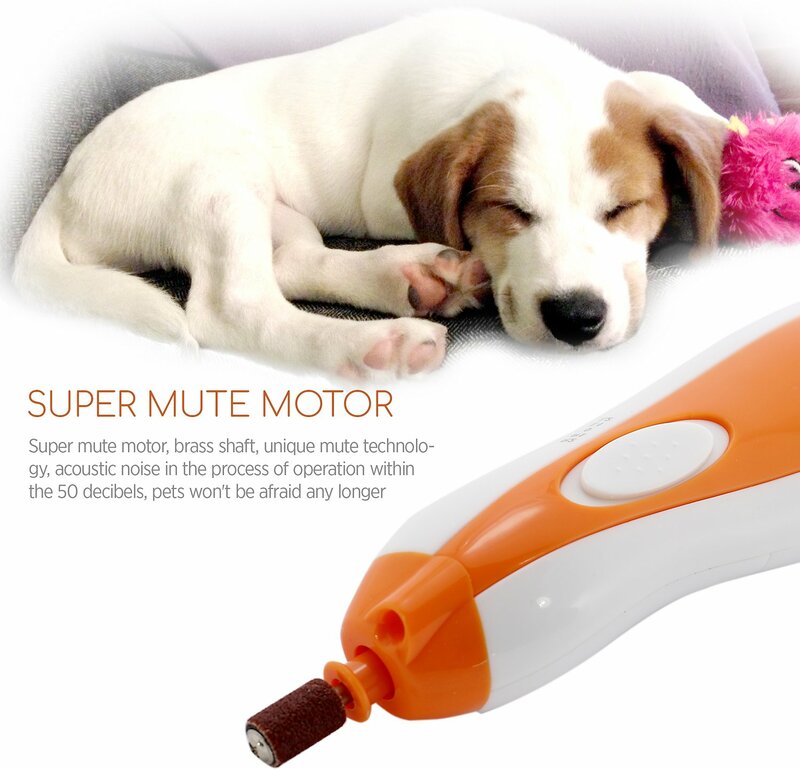 Motor is ultra-quiet so it’s perfect for easily-startled pets, and is strong enough with up to 10,000 RPM to groom any size pets. Ergonomically designed with an anti-slip handle and built-in spotlight for improved visibility and comfort. Ideal for cats and dogs alike, and features a brass tip so it stands up to heavy duty grooming. Complete kit comes with groomer, 6 sanding tips and carrying case; powered by 2 AA batteries (not included). (6) sanding bands in a durable storage case. Batteries not included. Step 1: Install 2 AA Batteries. Step 2: According to the pet's size and characteristics of their nails, choose the suitable speed. Step 3: Holding the grinder with one of your hands, holding the pet pads with the other hand, put the sand band close to its nail, and then begin to grind. This had some features I really enjoyed such as the light that shines on the nail, the ability to switch the direction of rotation, and how quiet it was... BUT it did not work for my dog's nails. I would have to be there all day for it to even round out my dogs nails. That's if I didn't go through ALL the heads provided (which I did). My dogs nails aren't tiny, but they are not the thickest dog nails I've had to trim/grind (did this often at my job). If you want length off, this is a total NO. If you want to just buff the pointy parts, you might be able to with a small dog... but I doubt it. Love this for my cat! I think this would work great for smaller animals such as cats, guinea pigs or toy breed dogs. I have a Boxer and his nails are larger and thick, this didn’t do anything except soften the tips of his nails. I tried it next on my Pug/Boston terrier and it was the same, did not trim down the nails. This does have a high and low speed which is a nice feature if that it something you are looking for. I do not recommend it. The grinder is not powerful enough and takes to long to trim the nails!